Does anyone else keep working when they should take a break? I did this weekend and it resulted in a bit of foul-tempered muttering. But then I went and ate some of these and balance was restored so I could go back and figure out how to fix the mistake. What happened? 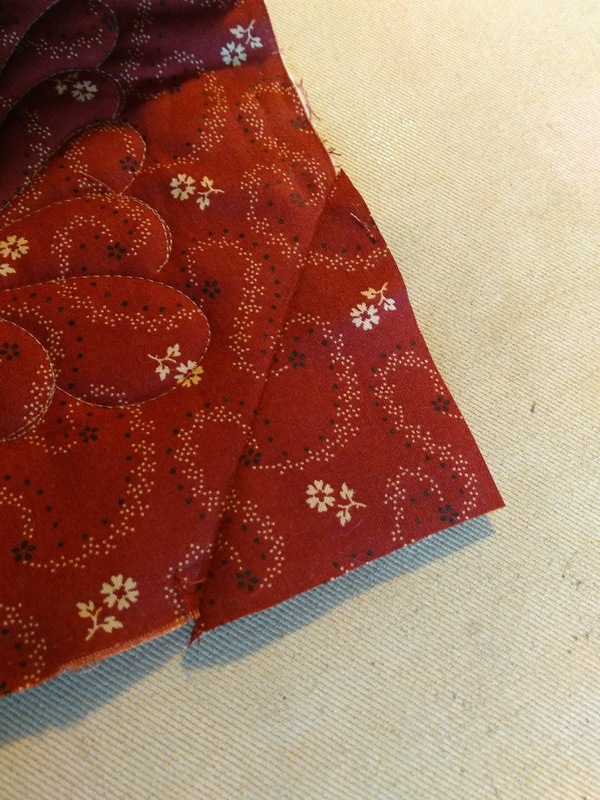 After finally getting all 128 prairie points sewn to sides of Vintage Sparkle, I decided to stitch over the corners again to make sure the points were secure there. I forgot to tuck the batting and backing out of the way first so I stitched through all the layers. That would have been easy to fix, but I didn't notice. 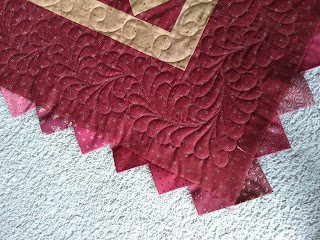 Next I trimmed the backing and batting 1/4" out from the quilt top all around. That's OK.
Next I had to trim the batting down further, 1/4 inch inside the top. Of course where I had sewn through all the layers that wasn't possible. Here's where taking a break would have been the better option. I was tired and rushing to get this done. 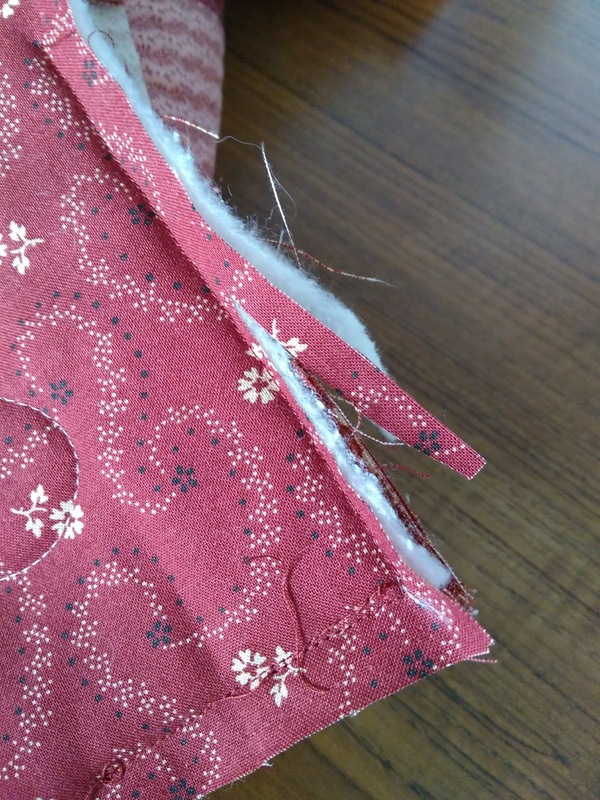 My brain didn't think through what the purpose of all this trimming was and I decided I could just trim close to the stitching, which is a 1/4" inside. That's when the big Oops! happened. I cut through the backing too. That is the bit of backing that needs to be turned under so I can stitch the folded edge to the back of the prairie points. I cut just where there should be a fold. Sigh. 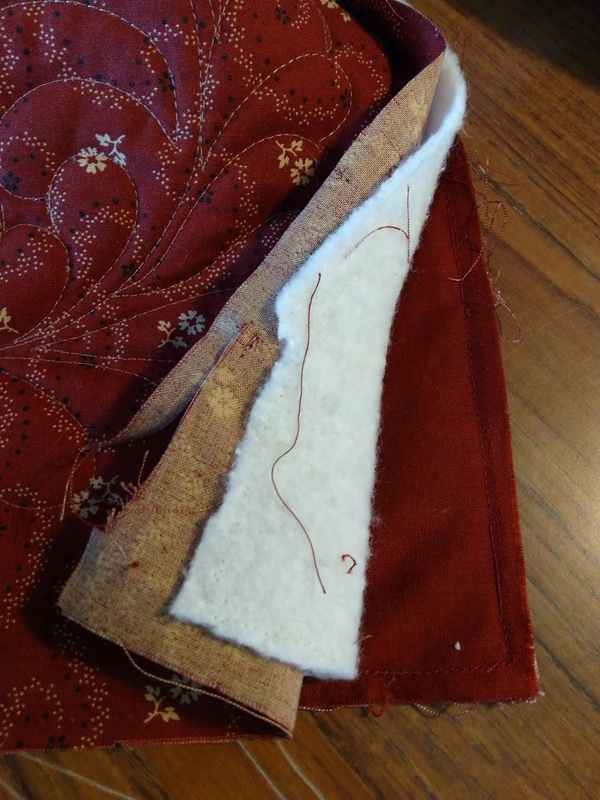 And the extra-vexing part of it is that I wouldn't have been able to fold it under because I had stitched there, so I would have had to unsew that anyway, so why didn't I just do that before I started snipping? Imagine a horrified gasp, then gnashing of teeth, then a hasty retreat from the sewing room in a panic. Chocolate cupcakes with chocolate buttercream frosting are not good for my waistline but they are fabulous for restoring my equilibrium! 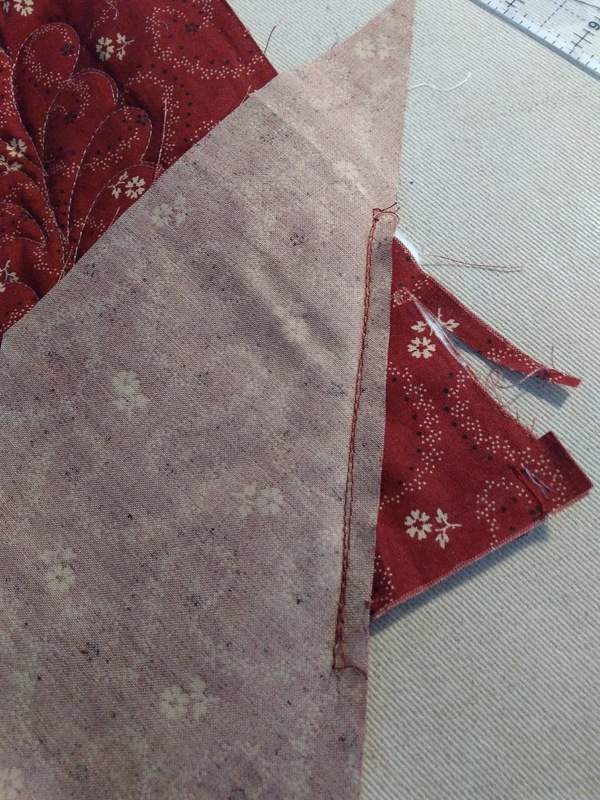 With equilibrium restored I marched back into the sewing room, considered the problem and came up with a plan. 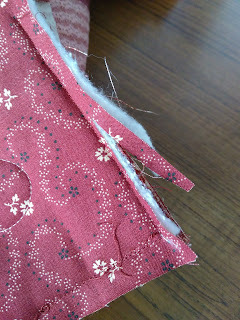 I ripped the stitches I should have ripped earlier, so I could manipulate the top, batting and backing separately. With the batting and top folded out of the way, I matched the pattern from a scrap of the backing fabric with the pattern on the backing as well as I could and stitched it to offending corner (or perhaps it is the offended corner - after all it was just sitting there inoffensively when I snipped it). And proceed as I should have to begin with. Crisis resolved. Thanks goodness for leftover cupcakes from the potluck on Saturday night! Here are the points pressed out to the sides on the front. I am now hand stiching the backing to the back of the prairie points. There are 3 sides left to do, but I'm not in a rush. I'm just doing a little bit at a time as the mood strikes. I think I might have a finish by sometime next week, unless a squirrel strikes again. Speaking of squirrels, the one from my previous post is quilted and bound and on a bus heading home from Florida with the school band. Of course it headed down first, but they are on their way home now, so I can borrow the quilt later this week to take pictures to share. Stay tuned! 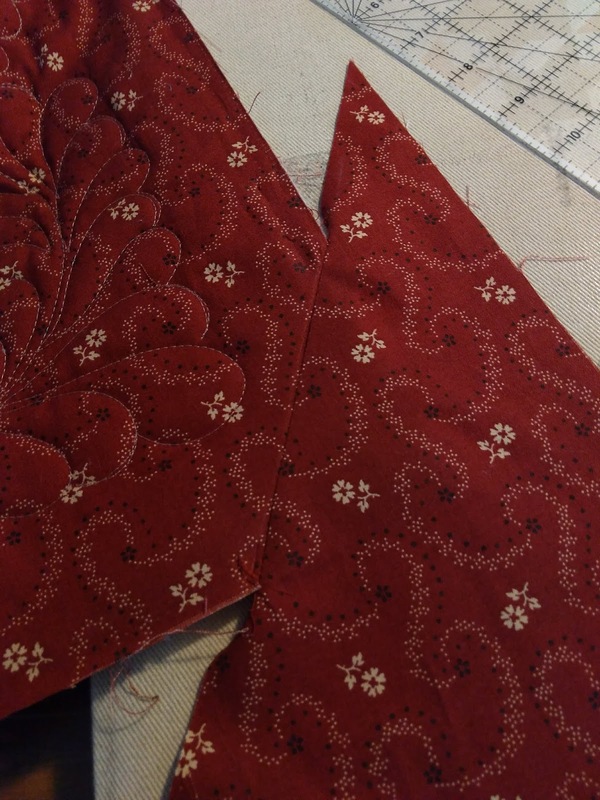 Yes, I often am sewing late into the night (about the only time I get to sew some weeks), and have berated myself on more than one occasion for the errors I have made when I was probably too tired to work carefully. Glad you were able to resolve your problem. It looks like you did a great job matching that corner up. I think every quilter at one time or another has had an oops, I know I have. I like the cupcake fix! Strong work figuring out a fix for your quilt back. It certainly will never be noticed after this. I'm glad you had cupcakes to bring you back to life after discovering the error. Tough moments but you overcame! Lol--it seems there are some days that eating cupcakes is a wiser option than making a quilt--I'm all for that! Always dangerous to work when you know you need a break. I have done this SO many times. Ugh! Those cupcakes look like they could fix lots of problems. ;-) Your fix looks terrific. Glad you caught it before you went any further! Could you send 3 or 4 of those cupcakes to me? I could use a "fix" too! You made a very nice save on that corner! ---"Love"
Great fix! I love prairie points but they are a challenge. And yes, I often work when I'm too tired and that's when I make the big mistakes. Sorry to hear about the oops but your fix was the perfect solution! It looks great, you can hardly tell there was a problem. The prairie points look great, too! Oh I’ve BEEN there!! ...on some placemats once where I was turning the backing to the front to stitch down. I know all too well that horrified gasp and stomach dropping and need to walk away very fast before you throw up on your project. Glad the cupcakes came to the rescue. Excellent fix and thank you for sharing with us the real life parts of quilting. 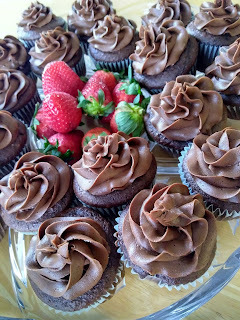 If there were cupcakes in my house, quilting might not have happened until said cupcakes were no longer in cupcake form in the house...rather mashed up in my stomach form, though maybe still in the house... The fix looks fantastic, matching pattern and all. And if you don't tell anyone, I bet they don't notice! Sounds like a good fix. You could have also added a plain fabric and used it as your label. No one would have ever thought there was a mistake. Whew! Good thing you had those chocolate cupcakes on hand. We've all been there - pressing on when a break was needed but you've resolved the issue very well. Those cupcakes!